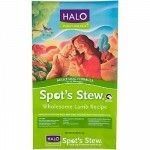 If grocery prices are significantly higher for salmon or tuna or lamb than chicken…why do salmon or tuna or lamb pet foods cost the same as chicken pet foods? It sure does make you wonder doesn’t it? How does pet food manage to keep the price of Filet Mignon and Salmon and Lamb the same cost as chicken? I think we all have some good guesses how they do it. I think it’s actually more likely that they raise the price of the chicken flavoured food to a higher price point in order to keep the other proteins at an artificially lower price so as to keep all the foods of the same size package at the same price, while not losing money. The foods I buy, Nature’s Variety Instinct and Nature’s Logic, in particular, DO charge different prices for different flavors. I pay a small fortune for rabbit, for example, because there’s 95% rabbit in that can. The chicken flavors are a bargain. 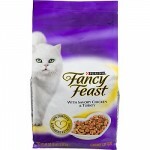 I shudder going down the pet food aisle in the supermarket these days but I went the other day to looked at the ingredients for Classic Chicken Fancy Feast, which we used to feed our cats before we knew better. It contains fish, among other things. I wonder what kind… but I try not to think about it. Hello — Yes, I would also like to mention Nature’s Instinct canned dog food as they have different prices for all their meats. I switch around. 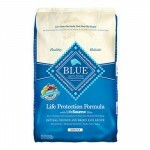 They also have higher fat than the other brands like Blue Wilderness Grain Free, and for my working dogs, this higher fat and limited ingredients all of which I ca pronounce is good. note– when I see salmon as an ingredient I wonder where does the salmon come from. Must be farmed, but I have not called to ask Blue Wilderness, for example. I have called Instinct and spoke to them about the ingredients in their food and their philosophy. Their food is expensive, but I feel worth it. Frankly, I just hope Instinct doesn’t get too popular, because great success often equals a change in quality. Why is that? Sigh…. Yes, that’s right but even the chicken is not the parts humans eat, it’s not the thighs and breasts, it’s the backs usually. Thighs and breasts are too valuable to human consumption for them to put them in pet food. Well of course the reason is the miniscule amount of product that is actually in the food. Most of these foods are made of a little bit of meat protein and the rest is filler. Just because it has a protein source listed on the label is meaningless…………..but I preach to the choir! 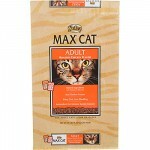 Nature’s Logic is the finest pet food on the market, period, end of story. 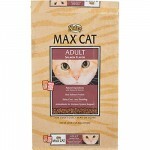 They have raw, kibble and canned. And the price is beyond reasonable! Why feed anything else! The point of the article is that once processed the contents of the finished product has very little of the actual protein source listed in the ingredients. So little in fact that it is not a major factor in the cost of the manufacturing which reflects in the consistent pricing across all products in their line. On the fishes, the discrepancy is partly caused by the terms ‘tuna’ and ‘salmon’ being used for several species of fish, some of which are very expensive to expensive (long-lined, in short supply) and others that are not (seine netted, or farmed). So, while some of the fish is undoubtedly scraps, at a guess the ‘tuna’ in petfood is likely to be skipjack tuna (most often canned for human consumption as ‘chunk light’ tuna), and the salmon is likely farm-raised Atlantic. As someone else mentioned, Nature’s Variety Instinct Limited Ingredient canned, which I use, varies in price among the different protein sources. Chicken is by far the least expensive with a price difference of as much as $7 per case for some of the others (turkey, lamb, venison, rabbit, salmon, etc.). 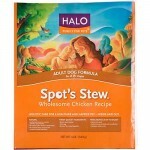 With kibble, I’ve always found different price points for different meat recipes of the same brand. Canned cat food does always seem to be the same price for all, though. I don’t know why I never wondered about that before. Even cheap canned cat food is expensive relative to dry though, so I’d bet that as someone said, they are overpricing the chicken to make the price equal to more expensive-to-produce flavors. The primary reason these brands offer same prices levels is they make higher margins on the cheaper proteins and “everyone else does it”. They believe they have the consumer figured out. And your readers are right, the portions going in to the foods here are very small. Much more money goes in to marketing, branding, and labeling than the actual ingredients. Believe it. Earthborn Holistic coastal Catch is about middle of the road in price. The Lamb, Bison and whatever the other one is is higher. I do not think Earthborn carries a chicken one. They have a canned chicken cat food. Please beware of the herb ingredients. “Clove” and “Sage” ingestion on daily basis? These herbs contain phenol derivatives and ketones that are toxic to animals. Companion animals don’t have the same liver of our human beings. Each animal species has a different liver detoxicating enzyme system from other animals. The substances contained in these herb materials are Xenobiotics, that should be excreted out of the body of animals as soon as possible. These are similar substances like poisons or drugs. If your beloved animal is currently under medication, these herb ingredients may cause interaction with drugs being taken. Why don’t you ask the company to remove these fear factors? Interesting. Something I’d only learn here on this site. Another company told me that Rosemary had become an issue in one of their formulas. They hadn’t received specific complaints as a result of their food. Only that this particular spice “could be” problematic. To err on the side of caution they were proactive enough to eliminate any worries whatsoever. I wonder if PF companies discovered along the way that if they always priced “chicken” formulas so much more cheaply, that owners would ignore their other offerings? Maybe making it not so practical to produce the higher priced items? Or, would another group of owners consider a formula that is priced so much more cheaply as not having the kind of quality that they would prefer? I mean, it would look “odd” if a can of Wellness Chicken was only half the price of Wellness Beef? Yet it’s still very strange that we expect human food to be priced according to the type of protein, and even the particular cut of the meat! Very interesting observation that Susan makes in this article!! I agree with the general observations about price issues. However, additionally, it isn’t the same “quality” fish that is offered for sale at your supermarket… and anyway, what makes anyone think “salmon” in a cat or dog food is “salmon” the way that we think of it at the grocery store or fish market? That is like assuming that “chicken” in a pet food is like the chicken that we would buy for ourselves. It’s not. 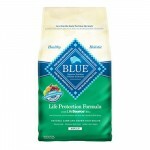 Many pet food manufacturers use “fish” as a filler or extender for numerous formulas. Some brands have “fish” in almost everything they make. And you know what? My cat doesn’t like any of them. What? A cat not liking “lobster”? 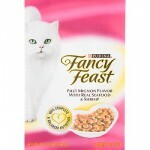 What’s a pet food doing adding something as “exotic” or “expensive” as “lobster” to an ordinary can of “beef” cat food? We can’t be foolish enough to think that “salmon” or “lobster” or any other fish is anything other than junk waste from other, more profitable ventures. Definitely similar pricing between all of the flavors would be an indication of the (lack of) quality of the food – if they’re just using meat flavors and byproducts, then they’d all be priced pretty similarly. Grocery store foods will not be using a significant amount of muscle meat (if any), but a food carried by an independent pet supply store will be more likely be using human grade muscle meats, and you’ll see a bigger difference between chicken and other more expensive meats. Salmon and lamb will be more than chicken, and proteins like buffalo, venison, etc will be even more, which would make sense. Human grade ingredients = human grade pricing. I can assure you that pricing differences at retail are not wholly the result of overpricing cheaper inputs so that the more expensive inputs are at price parity at retail. Instead, all of the inputs are generally salvage and otherwise unusable meat, poultry, and fish inputs discarded from processing of foods bound for human consumption. These remnants of human food processing have little other purpose save foods for pets or fertilizers of various types. 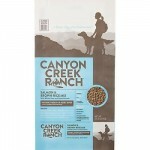 And, for those who love the 95% claims by some pet foods, remember that 95% is comprised of bone, fats, discarded and undesirable organ remnants of poultry slaughter (all of which, under AAFCO rules may be called meat, chicken, turkey and otherwise) and de-meated carcasses of rabbit, chicken, turkey and fish (which may also be called their respective animal source). The remaining bits are then ground beyond recognition, mixed with vegetables, fruits and water and result in a patty that resembles ground meats. While we’re riddling: if the company’s claims about calorie content are correct, ask yourself how can these products provide 65 calories per ounce (which is about 28 grams), when fat = 9 calories per gram, and protein & carbohydrates = 4 calories per gram. How much water are you really paying for? I work for a specialty pet food store. It’s a small business and not a giant. In our store, chicken is the new beef. It’s the most economical protein. Lamb and beef are about $1.00 more on average. More exotics proteins like venison, salmon/herring, bison and rabbit will fetch a few bucks more. This could be because bigger national chains have the ability to purchase in larger quantities and get a better deal from the manufacturers/distributors.